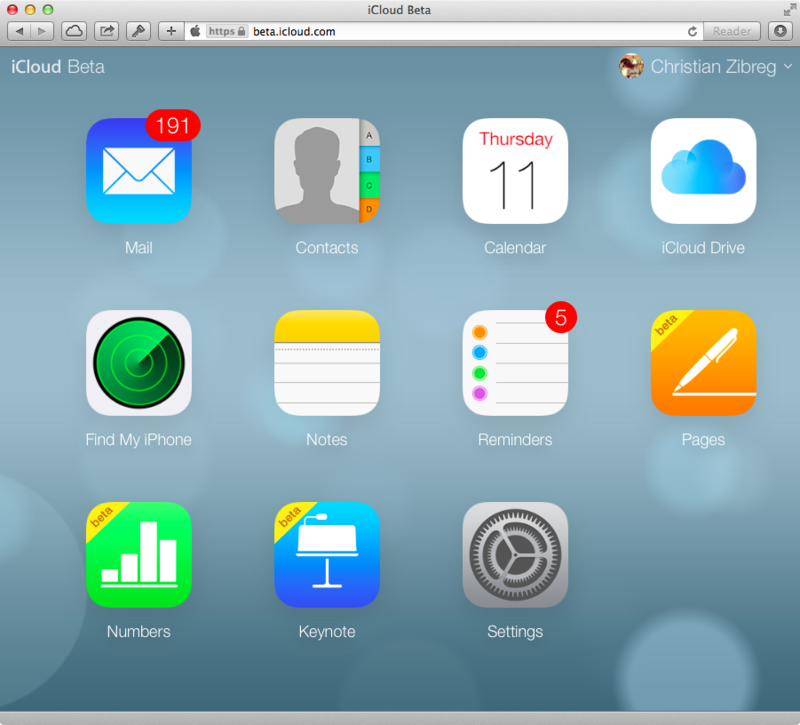 As we count down the remaining days until the September 17 public release of iOS 8, Apple is busy updating a beta version of the iCloud web interface with a pair of newly-added web applications: iCloud Drive and Settings. 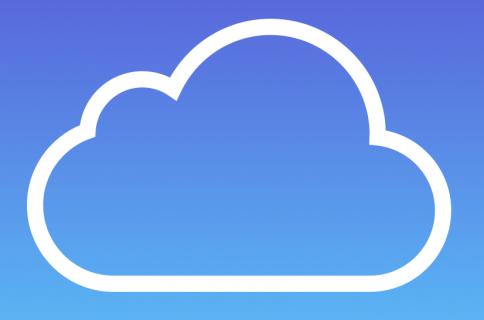 iCloud Drive is especially interesting as a web-based fronted for Apple’s file-hosting service which can be accessed through a desktop web browser on any Internet-connected computer. 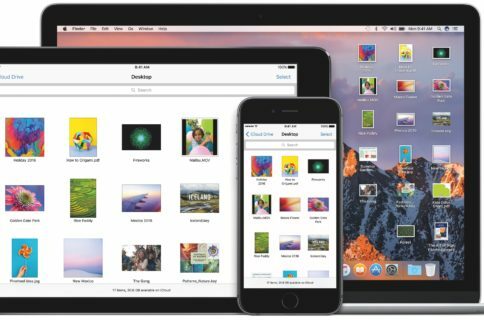 Though not as fully-featured as, say, Dropbox‘s web interface, iCloud Drive provides basic features to manage that cloud-based storage of yours, browse the file structure, as well as add, remove and download files. 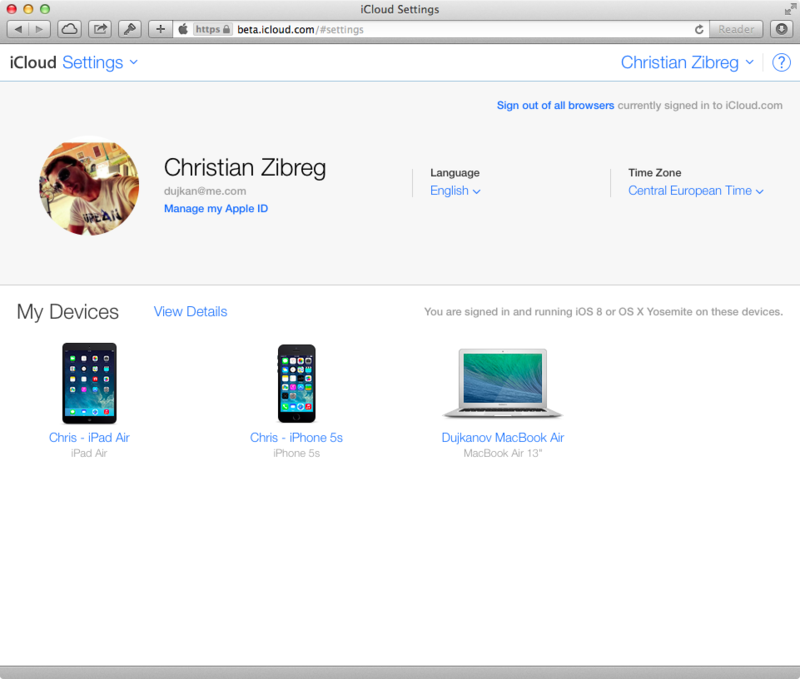 Both web applications are available after logging in to beta.icloud.com. 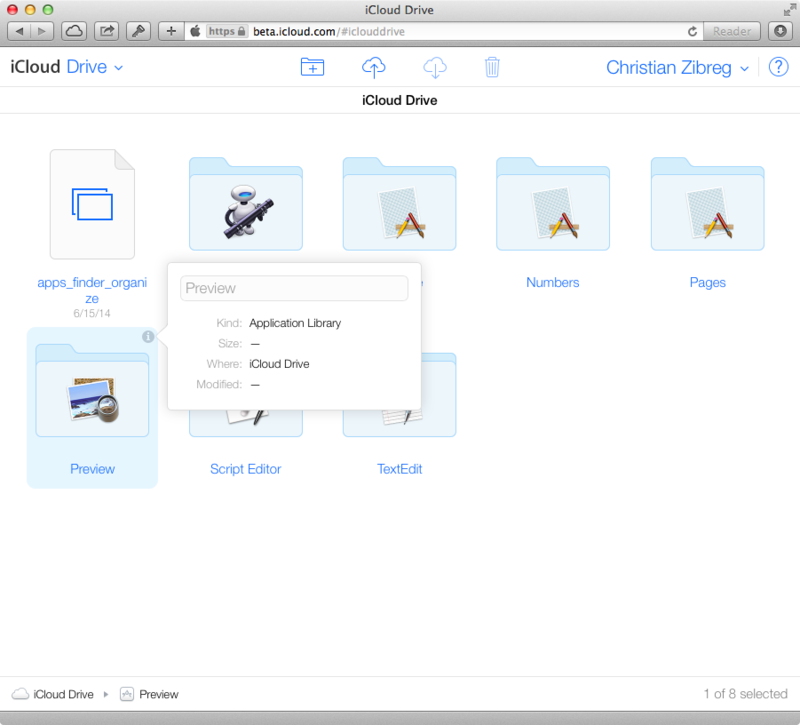 With the iCloud Drive web app, you can browse the file structure of your cloud-based storage. 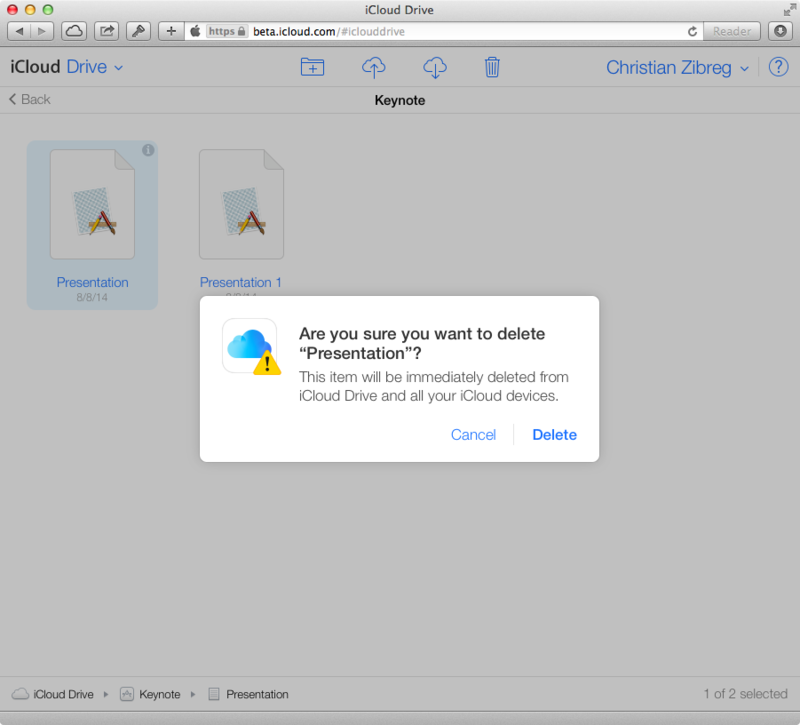 iCloud Drive will be used extensively by iOS 8 and OS X Yosemite apps that incorporate the iCloud document picker. You can open an individual app’s folder (like Keynote, Pages, Numbers, Preview and so forth) to access documents, download or upload files whenever you want and delete individual documents or whole folders on a whim. Pretty sweat, I must say. My only wish is that there was a custom right-click menu for iCloud Drive. The Settings application is even more interesting. 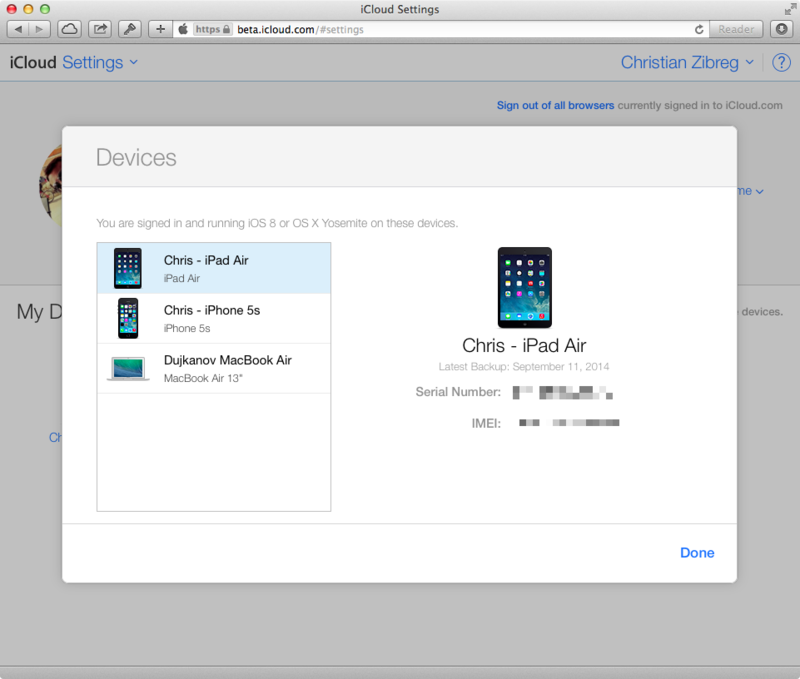 This is where you’ll find an overview of all your iPhone, iPod touch, iPad and Mac devices that are signed in to iCloud and running iOS 8 or Yosemite, all listed conveniently in one place. In addition to changing language/time zone, data restoration/resetting, Family Sharing details and managing your Apple ID (like before), the Settings app includes the new ability to sign out of all browsers that are currently signed in to your iCloud account. 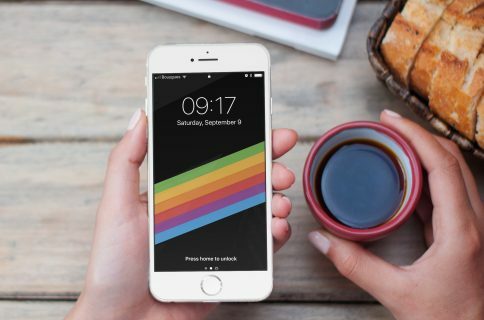 This is actually a much-appreciated security feature that should come in handy in case someone has potentially messed with your iCloud account and data, when you’ve accidentally stayed logged in to iCloud on a friend’s or public computer and more. Note that new iCloud storage plans are now available starting $0.99 per month for the 20GB tier and going all the way up to $19.99 per month for the flagship 1TB tier.